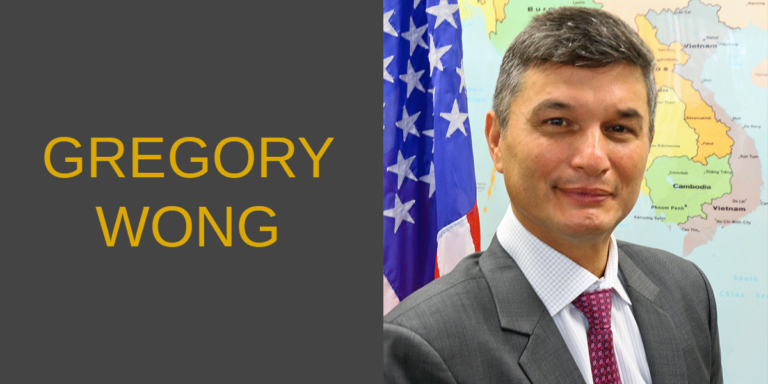 Greg has served in American Embassies in Bangkok, Beijing, Kuala Lumpur, Hanoi, Iraq, Taiwan, and Guangzhou and holds rank of Minister Counselor. Previously, Greg worked for Jockey International, World Trade Center – St. Louis, was a Peace Corps Volunteer in Burundi, Advisor to the UN High Commission for Refugees in Rwanda, and Board Chair for an organization that supported five orphanages in Vietnam. Greg graduated from Harvard University (MPA), and the University of Hawaii (MBA). He was awarded a Gold Medal by the U.S. Secretary of Commerce – the highest award bestowed by the U.S. Department of Commerce.